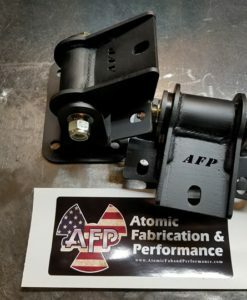 These brackets are for mounting aftermarket seats (Corbeau or Braum specifically, but others work also) into 88-13 GM trucks. 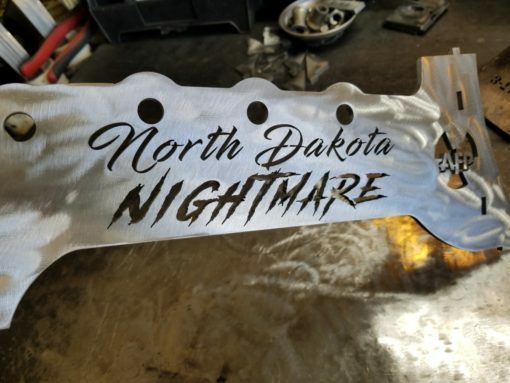 There are a few options for the outside face. 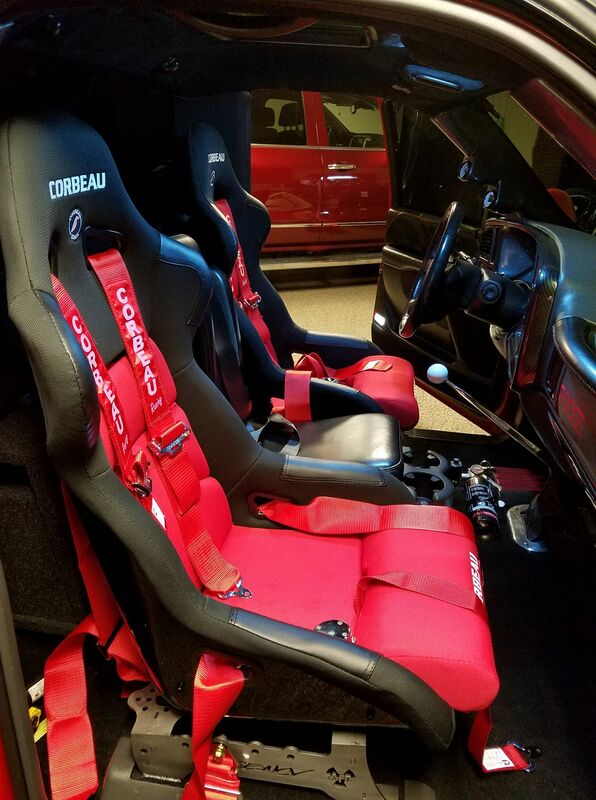 The seat pictured is a Corbeau F1X. 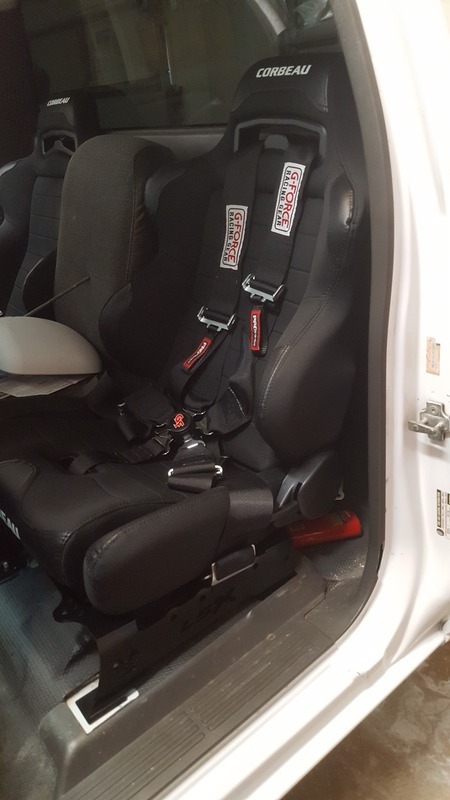 See the description below for more details. 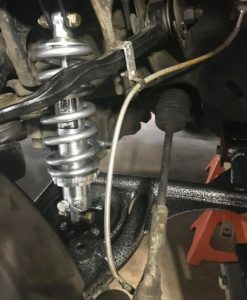 Normal height works best in most cases. 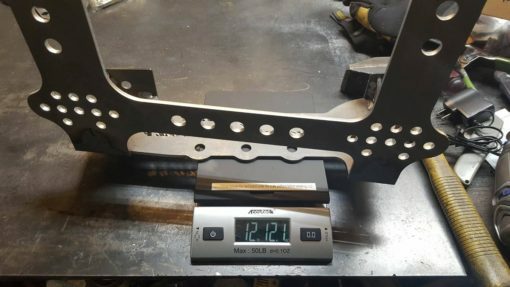 If you are tall (6ft+) or have a low cage the short version may work best. 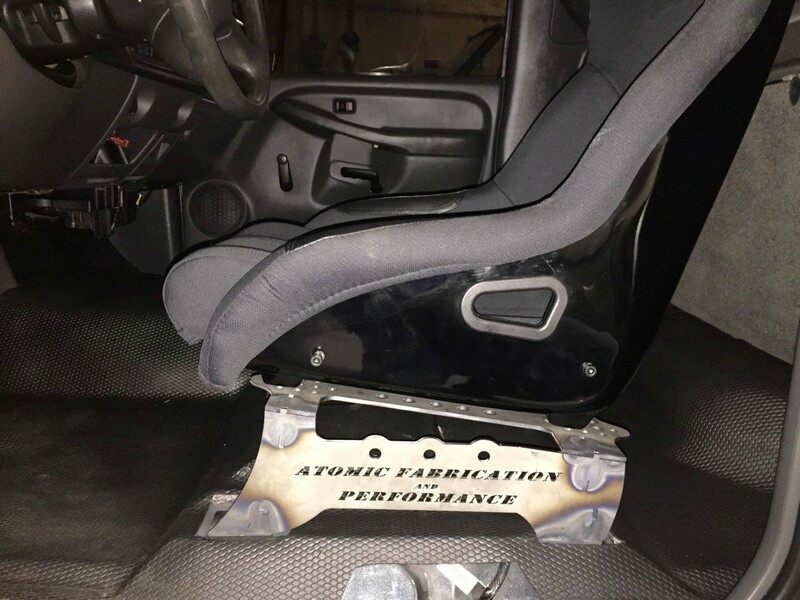 If you are short (<5’8″) or have a thin-cushioned seat the Tall version may be best. 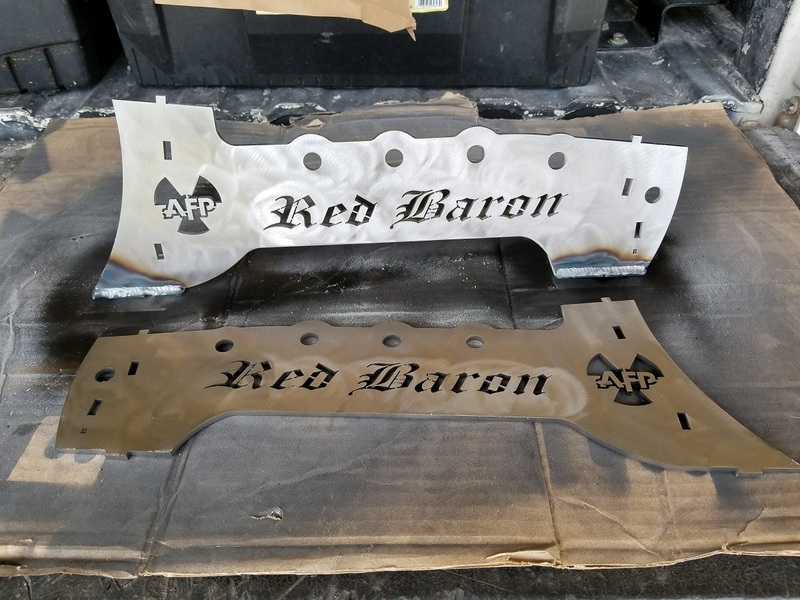 The different heights are only available with the AFP logo or Custom siding. 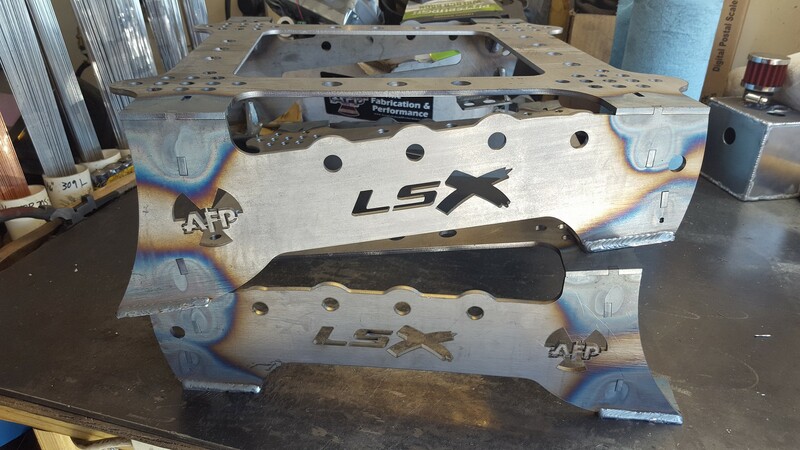 The LSX logo is only available in Normal height. 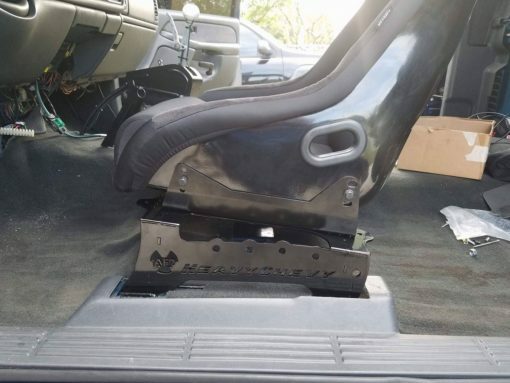 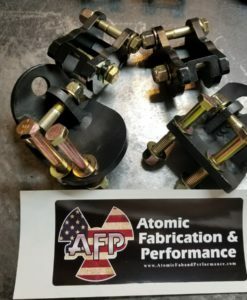 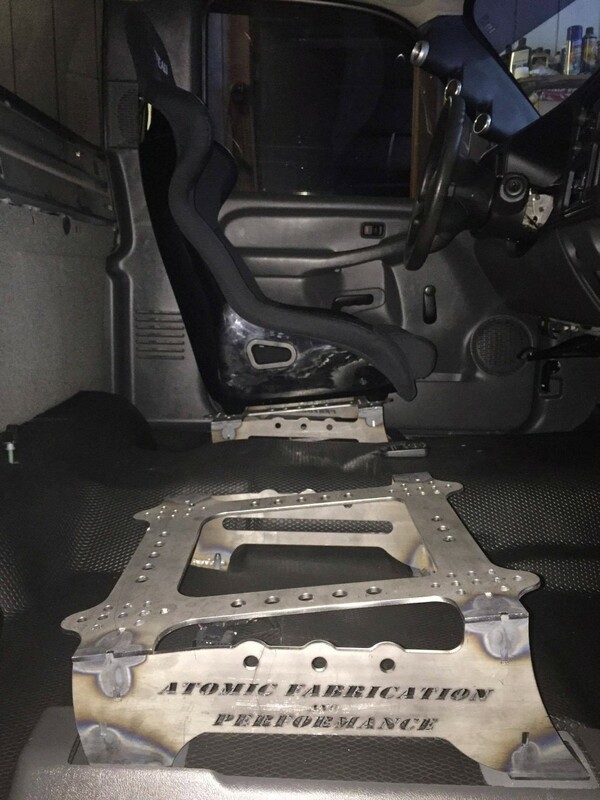 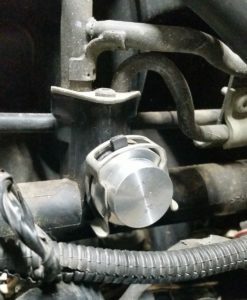 These seat brackets are made to install aftermarket seats on the factory floor bolts in 1988-2013 GMT400, GMT800, and GMT900 GM Trucks (Silverado, Sierra, Tahoe, Suburban, Denali, Escalade, Yukon, etc.). 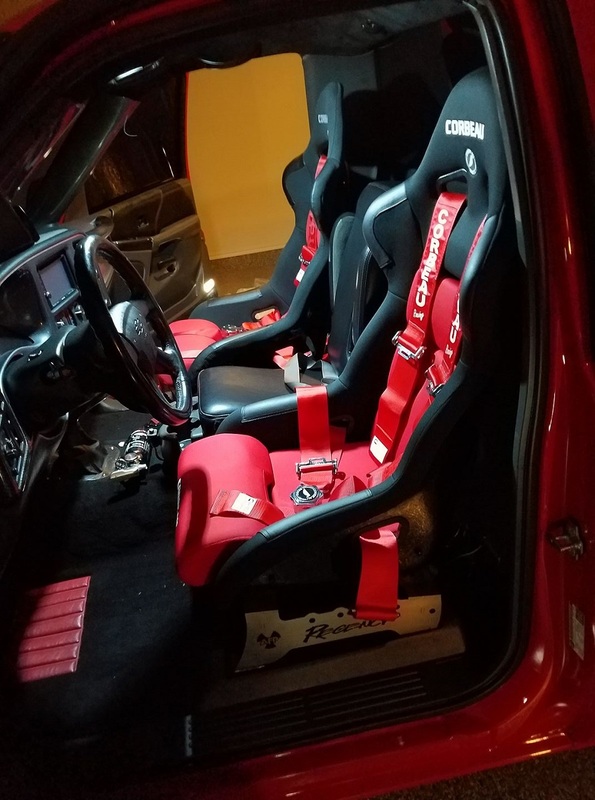 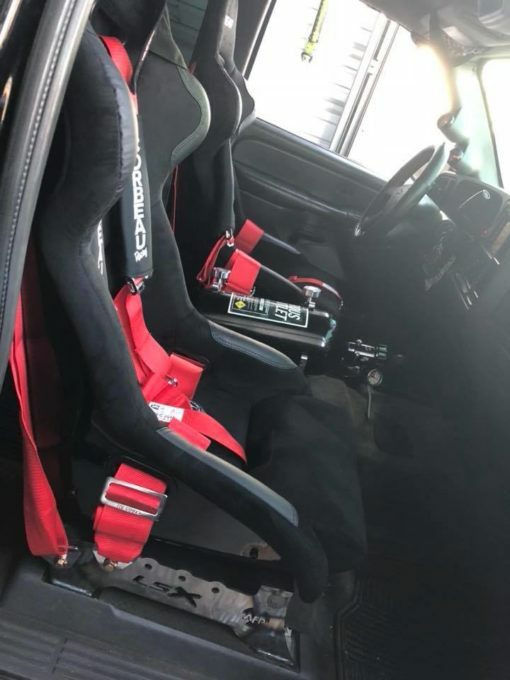 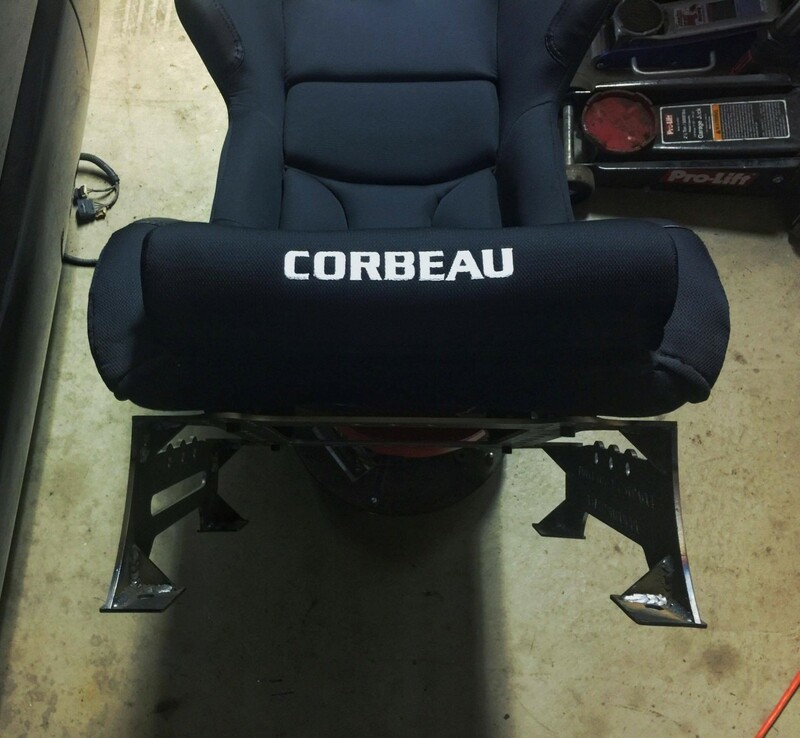 They are intended for Corbeau or Braum seats but can work with other seats as well (Kirkeys, etc.) if you can adapt to the Corbeau or Braum mounting pattern. 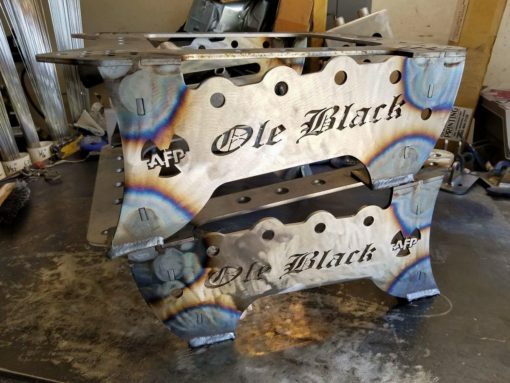 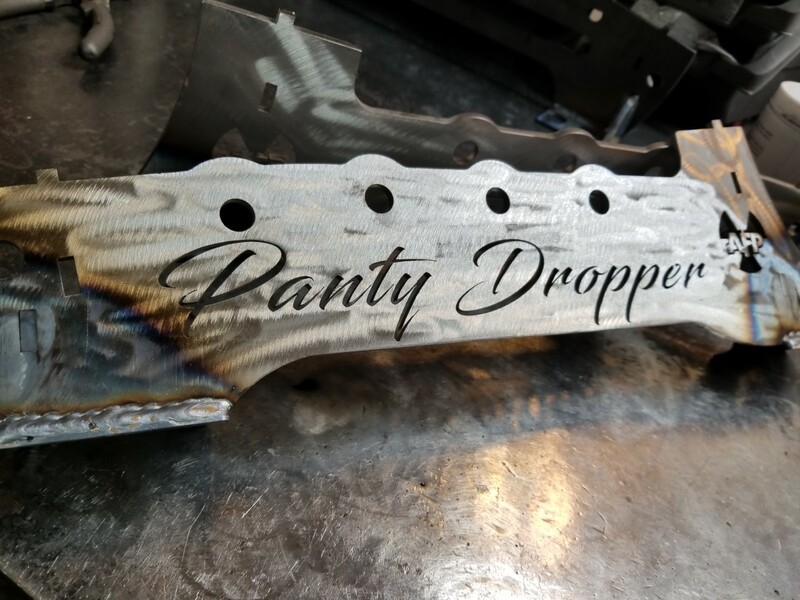 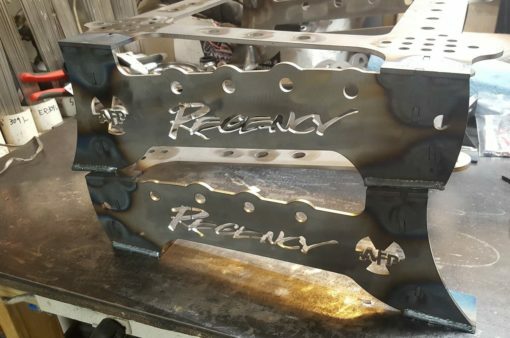 These are laser cut from 3/16″ steel and are fully MIG welded with support gussets for strength. 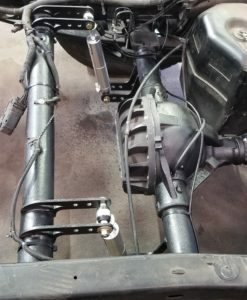 There are holes to mount a 3, 4, 5, or 6 point harness directly to the brackets without the need for a roll cage (this is NOT a replacement for a roll cage!). 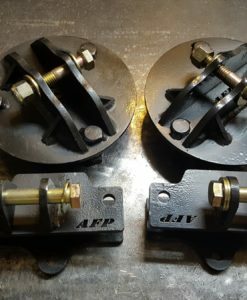 Harness mounting holes are 1/2″ in diameter. 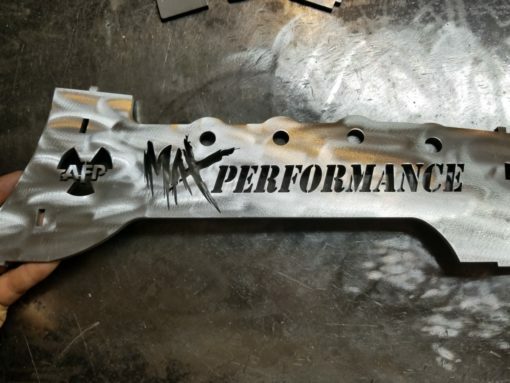 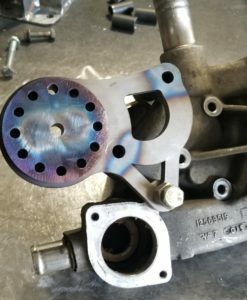 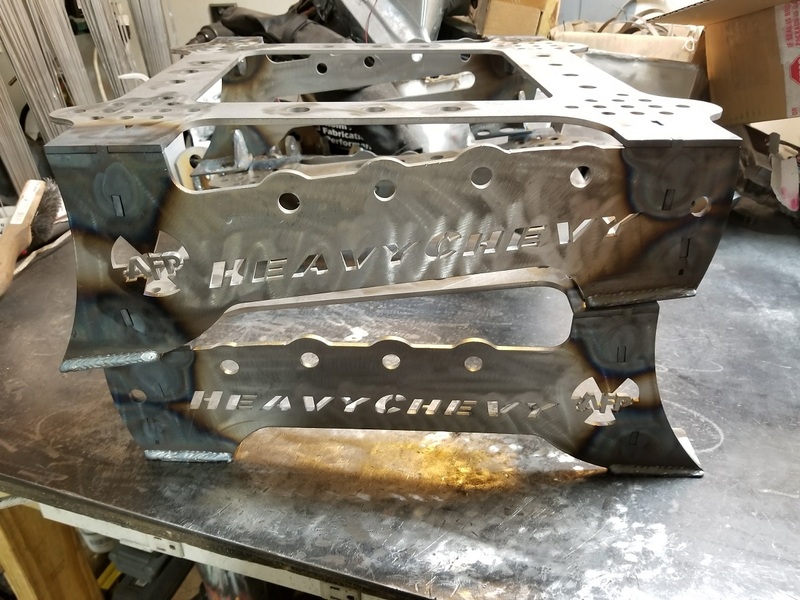 Brackets will ship raw ready for your paint or powdercoat. 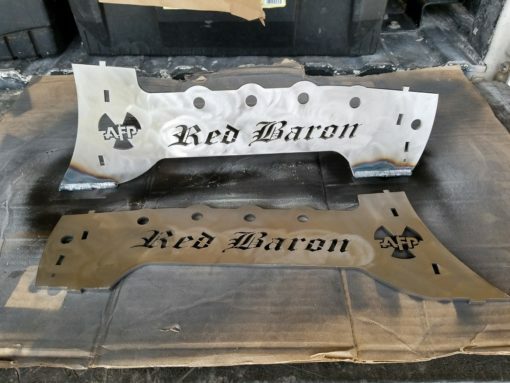 They can be easily powder coated at your leisure (I do not offer powder coating service on these). 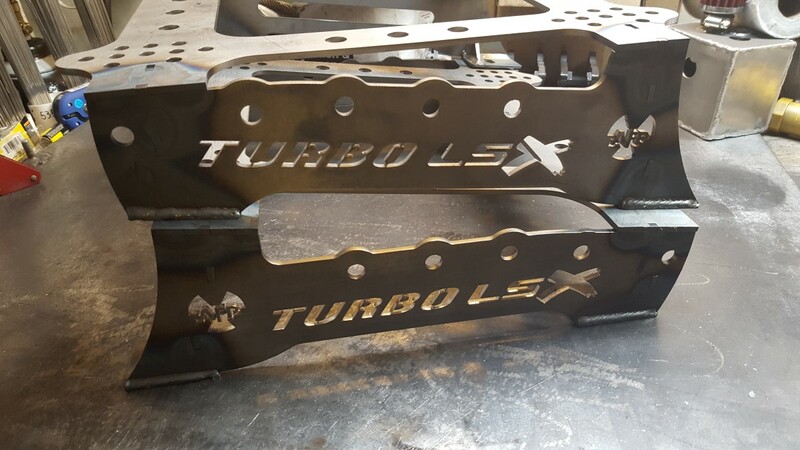 The passenger side weighs approximately 12.75 pounds and the driver side weighs approximately 13.0 pounds for the GMT800 and GMT900 brackets, and slightly less for the GMT400 brackets. 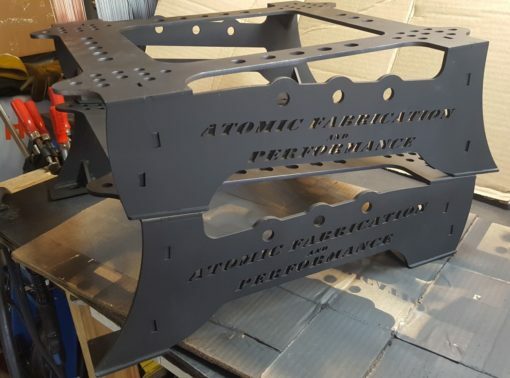 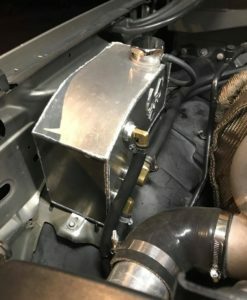 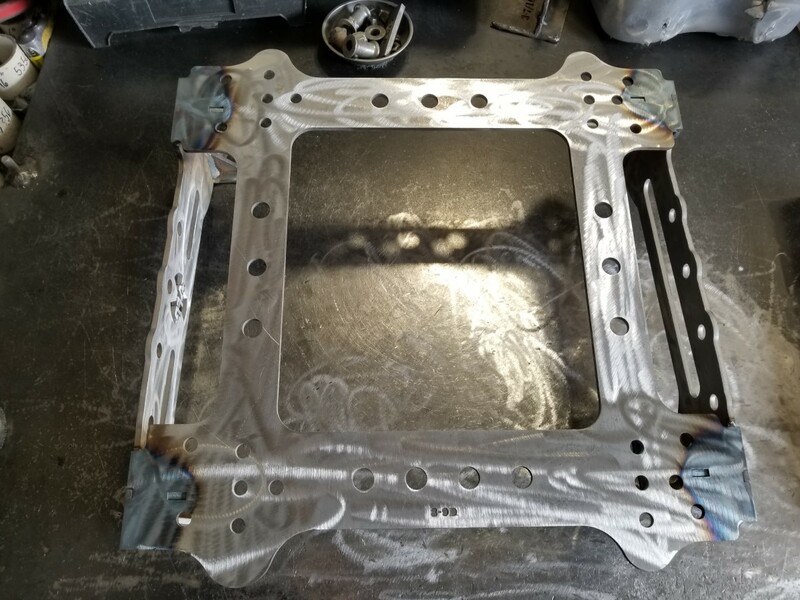 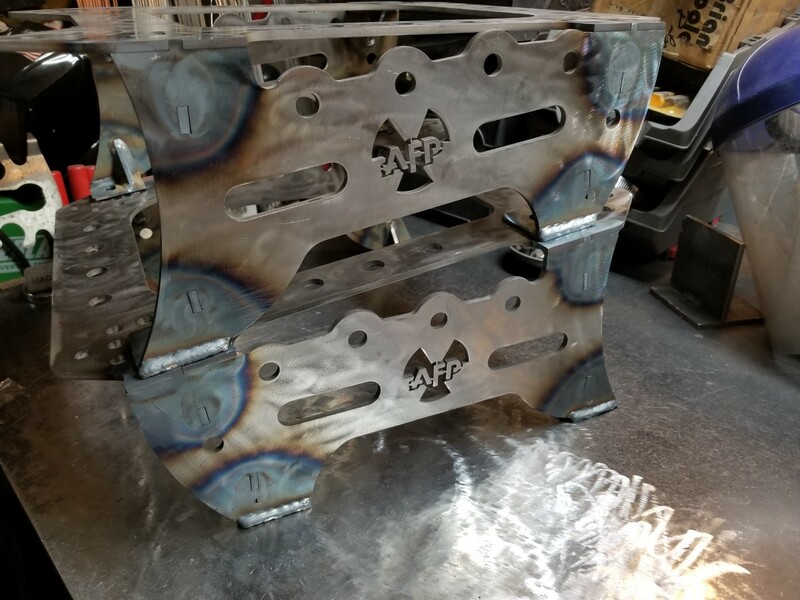 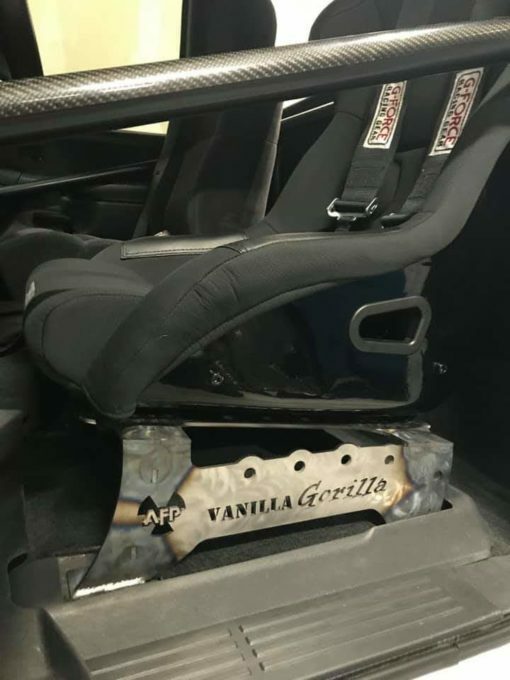 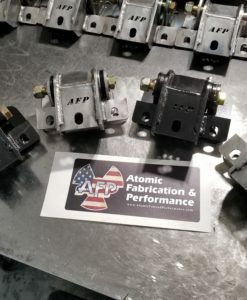 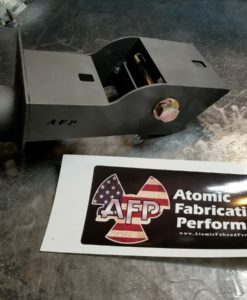 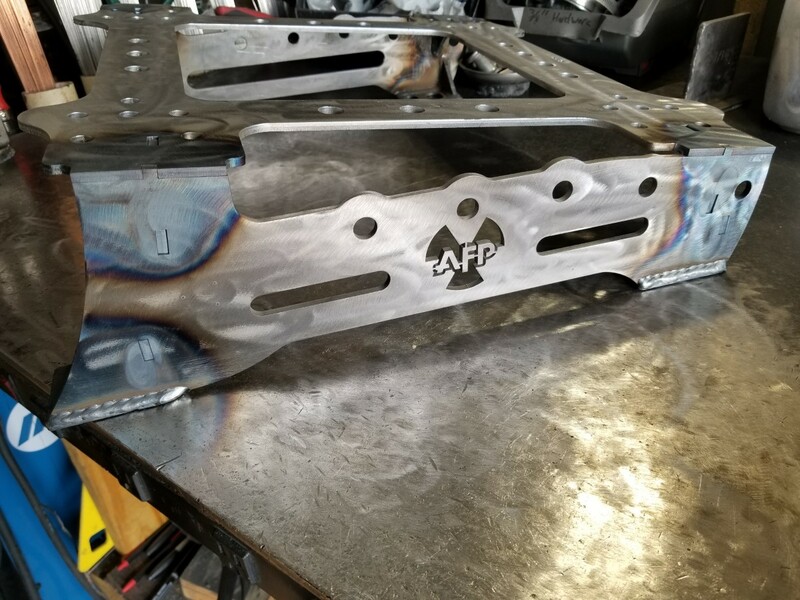 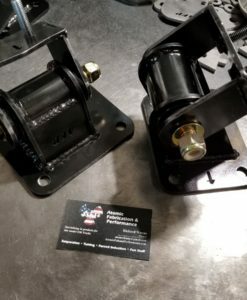 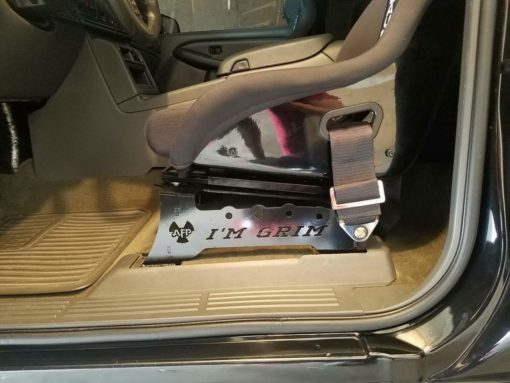 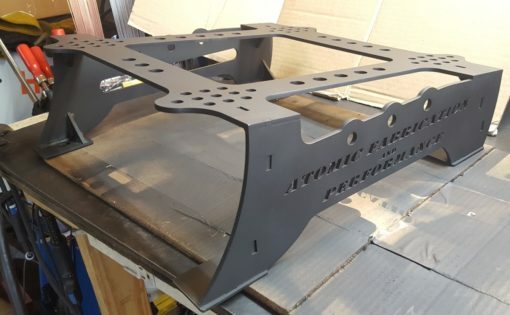 They will accommodate a center console and drop directly on to the factory floor bolt pattern, no trimming or drilling is required. 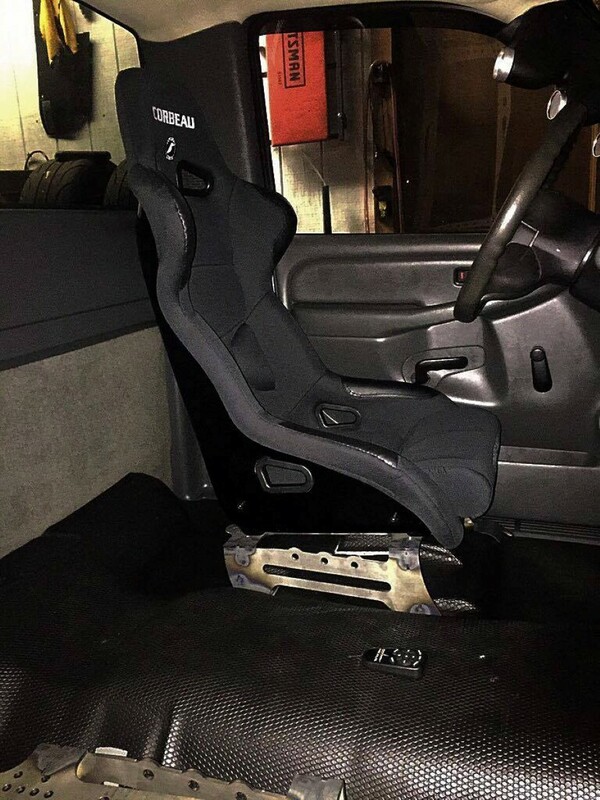 There are multiple seat mounting positions to position the seat up to 3″ forward and back and 1.5″ left or right. These will work with the Corbeau or Braum slider rails as well. Layback angle is approximately 7 degrees and the front is 6″ off the floor and rear is 4″ off the floor (factory seat height). 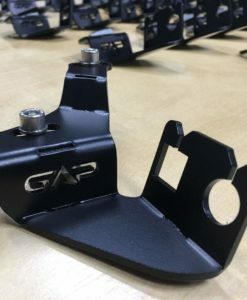 The GMT900 brackets are 6.5″ in the front and 5″ in the rear for a 6 degree layback angle (same as factory). The brackets can be ordered in Driver Side Only, or Both Seats. 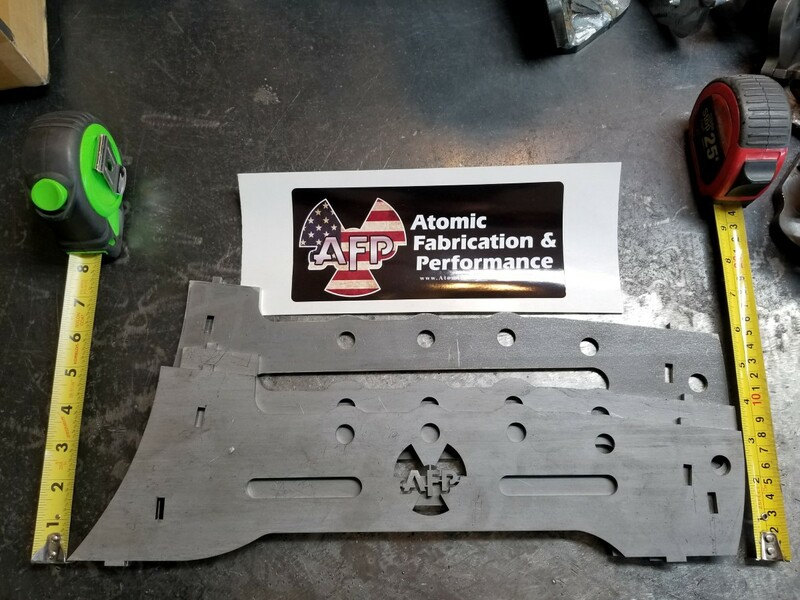 The outside face is available with the AFP logo with slots on either side, the LSX logo, or a Custom siding which can be whatever you want. 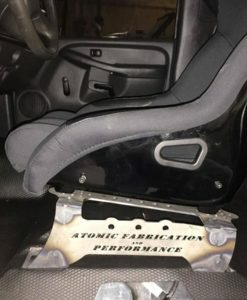 The cost and weight is the same for these two options. There is an extra charge for custom siding and additional wait time (usually 2-3 weeks) due to having them designed and cut.